iPhone is an iOS device with loads of mufti-purpose functions. Imagine yourself losing your iPhone to someone else or misplacing it. That would be a very frustrating moment. That awkward moment when your iPhone is stolen and you feel like committing suicide due to the contents and the valuables in the iPhone. 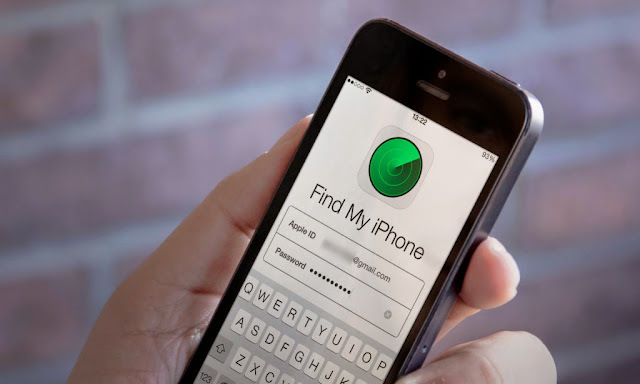 With the brief methods I would be explaining below on how to find or track down your stolen or lost iPhone, you won't be needing to get frustrated, whenever you are in such shoes. Find My iPhone service can be accessed through the use of another iOS device by simply downloading the “Find My iPhone” app on the iOS device from the app store. You can also get the app access through iCould (www.icloud.com) simply login the website with your computer and click on “Find My iPhone” from the main menu. Then select your lost iPhone, by clicking through the devices menu on the iCloud website, or you can simply tap on “My Devices” button which is located at the top corner of the windows on the iPhone or iPad. A list would be displayed, in which you are to select your lost or stolen iPad or iPhone (your device would be listed as long as it's associated with the Apple Id). NB; If your device is not located on the list, then know that your device is turned off, then simply tick on the “Notify me when device is found” box. Then whenever your device is turned on, you would be notified via your Apple I D email address. The next step is to track the location of your iPhone. The “Find My iPhone” is a very good devising app that would easily track down your iPhone if found online, and it would map on center of your iPhone's last reported location. With this, you can easily track the location of the iPhone. Finally, you can choose an action. This time, you can choose to enable a loud sound for your iPhone or iPad, so that if you are within that area the device is, you would easily detect it. You can also choose to activate the lost mood, by either locking it with your old pass code or recent one, and you can equally erase the iPhone and clear all data, to avoid someone else invading your privacy. Hope with the brief method explained above, you can easily track down your lost or stolen iPhone or iPad. If in case this option don't workout well for you, then let us know, and we would let you know other alternatives that you can easily use to track down your iPhone or iPad, but for now, the method explained above is the best method and have been tested and trusted by so many iPhone and iPad users. If you have any other related iPhone or iPad issue that troubles you, feel free to let us know via the comment section.